The Fete de la Musique, now approaching its fortieth year, is of course a great big city-wide party, a time to just forget everything and have fun – playing music, listening to music, having music in the background, dancing, kicking back, you name it: it’s about having a good time. But it’s also true that behind the scenes, in the months leading up to the Fete, there is actually a whole lot of planning and organisation going on, and it’s probably helpful for those of you who are planning on being involved, either as musicians or as stage organisers or undertaking whichever other duties, to know what’s actually going on under the hood. 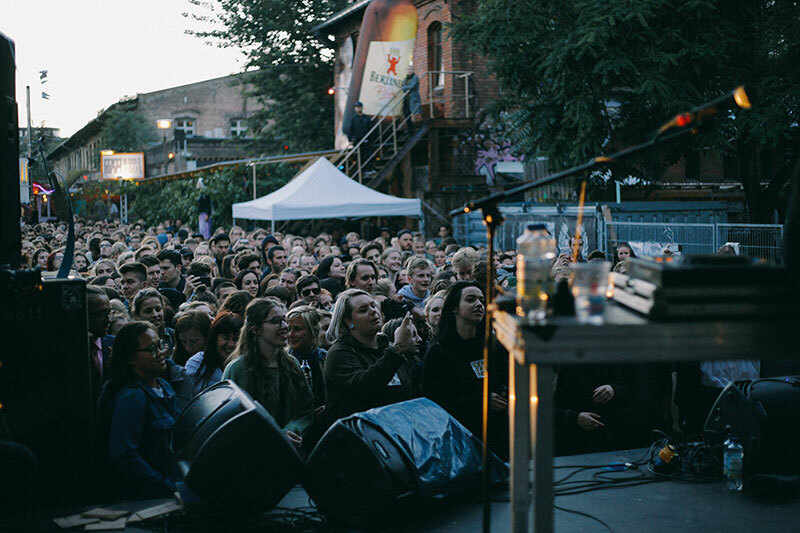 The first thing that probably a lot of people don’t know is that the Fete de la Musique is now funded by the Berlin Senate, through the agency of the Berlin Musicboard. What that means is that they pay the GEMA fees for official stages (unfortunately the GEMA decided against bowing to the spirit of this worldwide festival celebrating music and letting the day go free…). They put money into the administration, into the marketing, into printing posters, brochures and the like, into the website and so on. That’s where the state’s financial contribution goes. The costs of running a stage are borne by the stage organisers themselves. Many organisers of stages offset their costs by selling drinks and food. If you’re at a Fete event and you’re hungry or thirsty, it’d be great if you could try to buy your food and drinks from the stage organiser, and help keep this stuff happening. If you’re a musician: yes, on this day you can play (pretty much) anywhere. Even though you’re not actually allowed to play in the city, in open spaces, without a licence (last time I checked), and thus are in danger of being moved on from that good ole Ordnungsamt that we all know and love so well, on this day you’re allowed to play ACOUSTIC music anywhere, and everyone’s happy with it. If you’d like to play plugged-in music at an unofficial event somewhere – ie a stage not registered as an official Fete de la Musique stage – you won’t be covered by the moratorium on ‘noise’ that is issued for all official stages for the hours of 4-10pm. The Fete de la Musique finishes officially at 10pm, and the licence to be loud does too. However an add-on to the Fete, called the Fete de la Nuit, has been created and has run over the last years, where the whole musical celebration thing goes inside, and clubs and venues have an apres-Fete party night. No one gets paid for playing music on this day. It’s meant to bring down barriers for people to be able to enjoy music – whether you’re the one playing, or the one dancing. But the musicians agree to play for free. Street musicians – it’s gonna be tough on this day to put down a hat and hope to find something in it! 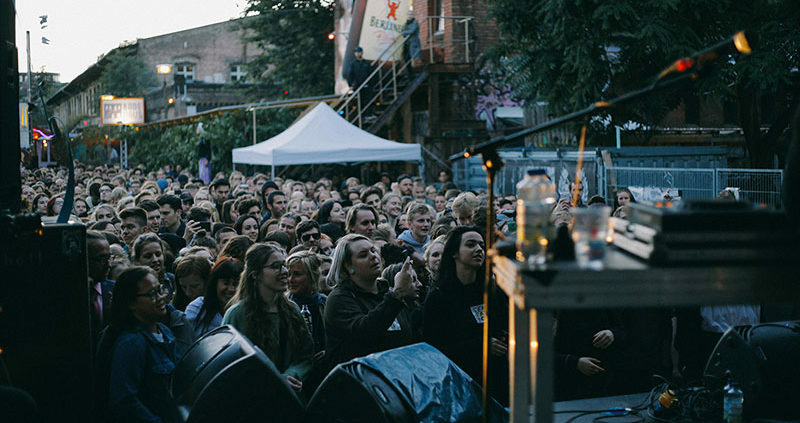 The festival is Berlin’s biggest festival of the year. It’s also a free festival. There is no entry to be paid for any musical events taking part. Did I miss anything? Probably. If so please write into the comments below or get in touch on our Facebook page, and I’ll include and update.